District Six was an area of Cape Town that was inhabited by poor people of different racial backgrounds, but particularly Coloureds and Malays, until the 1960s. 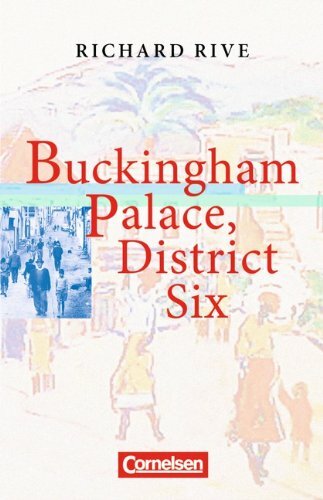 This novel tells the story over 15 years of a group of people who lived in a row of houses called Buckingham Palace. Slowly their lives became affected by the Group Areas Act, which designated District Six as a whites-only district. Buckingham Palace, District Six shows the heavy price individuals and communities had to pay under the apartheid regime of South Africa. What a pity that the apartheid regime thought they had to destroy any community which showed that living together in peace was actually possible for people from different backgrounds and with different colours of skin, because they knew that they, the whites, were just a minority and therefore wanted to scatter the different groups of coloureds and blacks in order to prevent them from uniting and fighting against this minority. This novel tells the story of such a community in Cape Town in three parts - each part first giving some details about the historcal facts followed by the the stories of different characters living in that district.